I always like this race. Not just because of the long sleeve tech shirt, simple course, or post-race party, but because of the people. This event offers something for everyone. There’s the 10 mile distance as well as 5 mile, 5k, and 1.5 mile run. I see every degree of exercise person on the course. Some are out being active and others enjoying the community of changers. The latter, changers, are what motivate me. Maybe just a month ago they weren’t able to complete a mile, but today they would complete a 5k. It is a group of people willing to let go of what their inner circle says can’t, or shouldn’t be done. Either because that group has something to lose by letting them think or try something new on their own, or due to the fact change scares them. If we expect the world to change for the better, then we need to change how we think. Race day started like normal. It was a pleasant 59 degrees and people were starting to arrive into their pre-race rituals. Some stretching, others eating, and a few downing the last bit of coffee. I just kind of walk around and take it all in. These are good people. Taking action that defies want many would think of doing on an early Sunday morning. 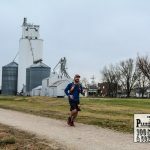 I found out a few days prior that Nick had entered the race, so decided to run with him. 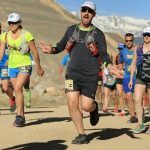 My running and pace is so inconsistent, that I generally don’t run with any one particular person. 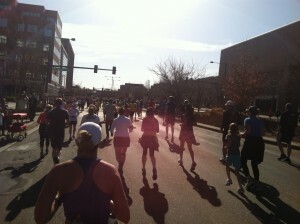 Granted, I find people along the race route that I tend to stick with, but they don’t know that. My goal was to run about the same as last year, which averaged a 9 minute/mile pace. As the vision of my ultra that was in 6 days stuck in my head, I knew it wouldn’t be wise to push it too hard here. Then again, when have I ever followed normal thinking. Something new at this race was at the starting line. There was a large truck with the words on the side “Denver Bomb Squad.” A solemn reminder for those in Boston. 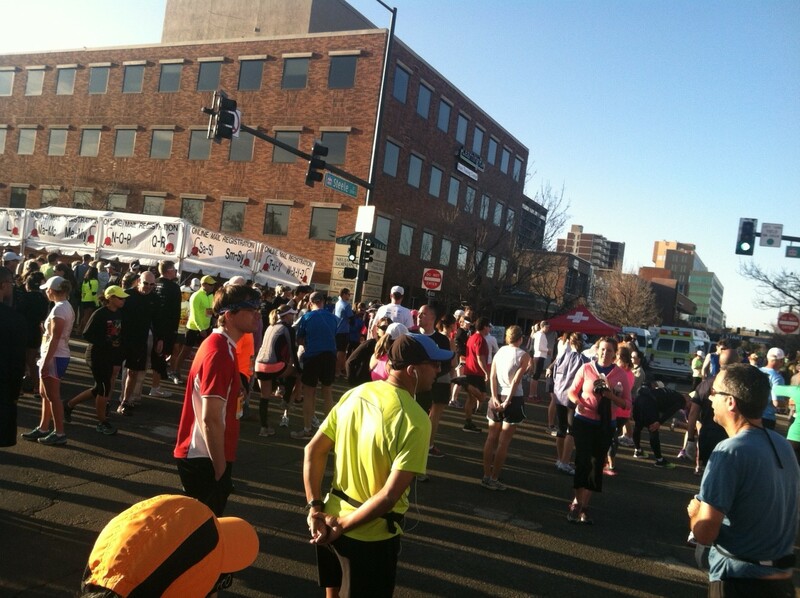 The first few miles of the race can be fairly crowded. Almost at the 1 mile mark everyone is doing their best to stay to the right on one lane of the road. 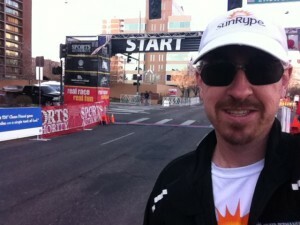 I still had my Colfax Marathon jacket on. Not because I was cold, but to block the heat. Start of the race temp was almost 60 with expectations of mid-70’s at the finish. Going to be a scorcher. But there was to be beer. It really is a nice course as it winds through the streets of the Cherry Creek neighborhoods and into Cheesman Park. This involves a couple small hills, but also means a couple small downhills. Then there’s the 1 mile in each direction straight stretch. This part always gets to me in the other marathon races. Just that long, slow incline, watching others on the opposite side of the road, and straining to see the turnaround. This is also about where the runners chatter (where friends running together) stops. It’s that point people have past the warm-up and bodies entering the “oh crap we’re actually working here” phase. From mile 8 and on the course is downward incline. That’s nice, but still 2 miles to go. Looking at the stats it appears I backed off a bit here, but picked it up in the last stretch. 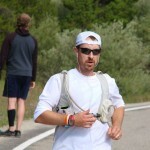 I had taken my jacket off around mile 2, but after hitting the mile 9 marker, put it back on. That way I could show off the Colfax Marathon pride … and get my phone out of the pocket. The 10 mile running crew is fun as it spreads out nicely after the first few miles, but the last half mile is when the 5k race merges onto the course. It fills up quickly and includes a diverse group. These movers include a 6 year old to friends out for a morning stroll around the mall to others going for a PR. Reaching for the finish line here is a blast. There are tons of people lining the streets, someone over the speaker is repeating the same joke for hours (if you don’t smile we’ll make you run it again), and you are running into the sun. Fortunately, I have switched to giant movie star sunglasses to run in, so no worries there. After crossing the finish line, there is a bit of a traffic jam. The water bottle handout is about 100 feet after everyone stops. Not complaining here because I needed water. Every Many times on the course the volunteers handed me a cup saying it was water, but rather it was the horribly tasting Heed type drink. Doesn’t work well on my stomach. I waited about a minute and then Nick came coasting into the finish line. 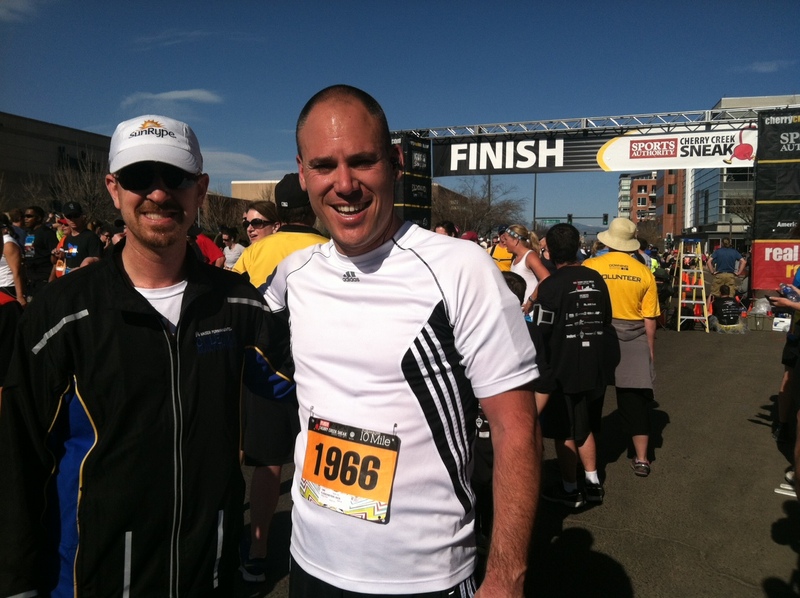 He did an awesome job and is running his first half marathon at the Colfax race in 3 weeks! Very excited to hear all about that experience as the course takes runners through the Denver Zoo and a fire station. 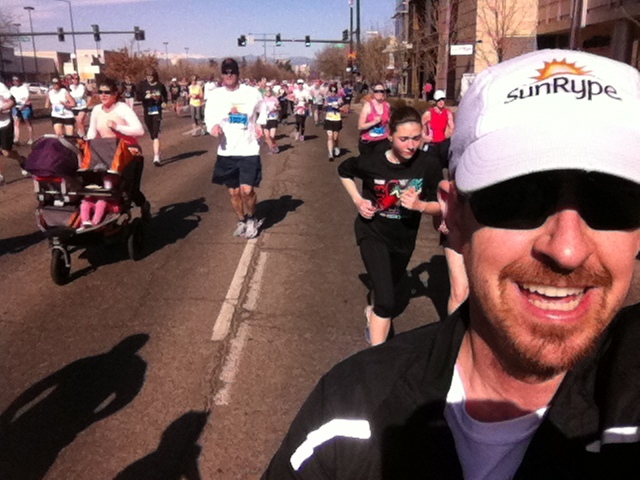 I’m looking forward the full marathon course again where I get to run through Mile High Stadium … twice! 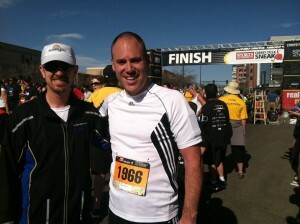 This was another great race that is always well organized. Can’t forget to mention the beer garden featuring Leinenkugel’s Summer Shandy. Tasty and cold … really what else do you need?